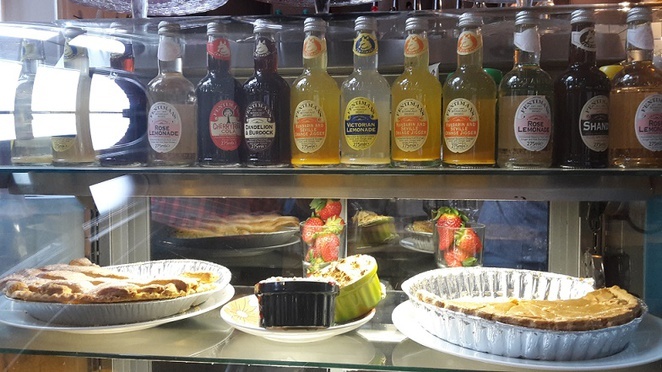 Traditional drinks and desserts galore! If you're familiar with Liverpool, you've more than likely heard utterings of the magic that is Lark Lane. 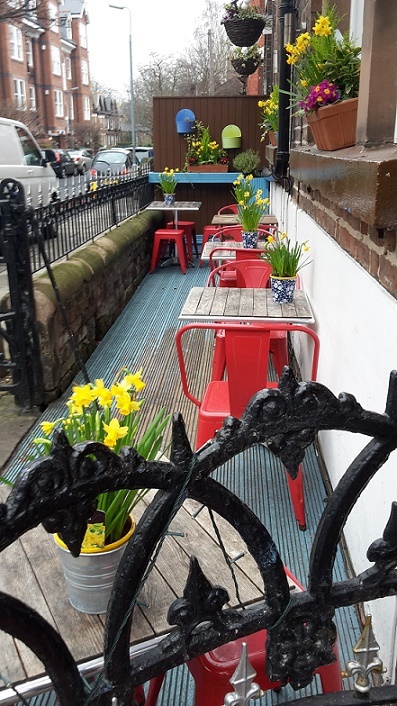 About 15 minutes from the city centre in South Liverpool, the Lane is littered with a strong selection of delightful boho establishments ranging from award winning restaurants to quirky shops; from cosy cafes to intimate bistros and watering holes to boot. The Moon and Pea is no exception the rule here, and if you're seeking tasty and traditional grub with a community feel, this bistro-meets deli is for you. 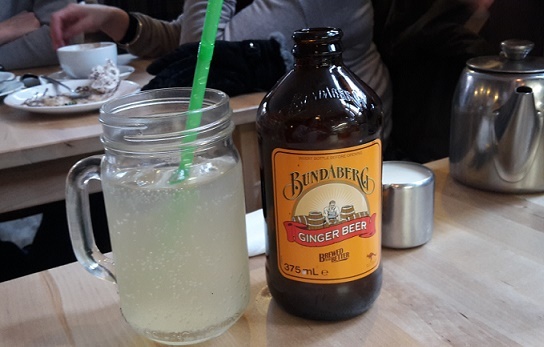 Nestled on 64 Lark Lane, the eatery's feel is hearty and homemade, yet it's quirky enough to stand out. Put it this way – it's not often you come across a bistro that you'd be happy to take your mum to for lunch, and it be the same place you'd invite a date to on the weekend. While there's plenty of meat on offer, vegans and veggies are well catered for also. Charmingly British and slightly kitsch, whether you're a regular or a first timer here, you're sure to feel at home as the small team of staff are on hand with recommendations and friendly banter to boot. As the weather gets better, pull up a pew in their quaint courtyard to the front and join the locals of the Lane for a natter. Considering their food is described as 'unashamedly uncomplicated', the menu is fairly varied. 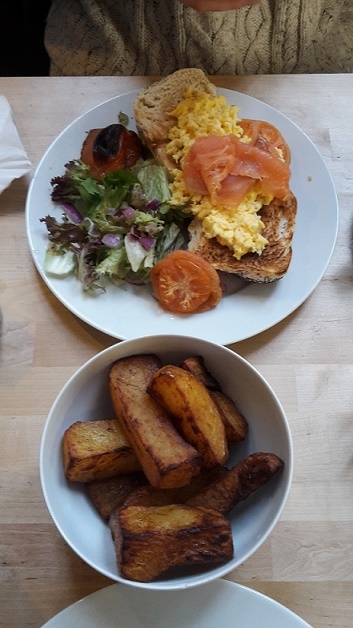 From classic brekkies, brunch alternatives, soups and ciabattas, they've got it covered. The salads are highly recommended, drizzled with a delicious Greek style dressing, while the homemade burgers are reasonably sized with all the trimmings. Although you may be spoilt for choice when placing your order, make sure you don't leave without ordering a portion of the homemade 'fat chips'. Cooked to perfection they do as they say on the tin and certainly don't disappoint! 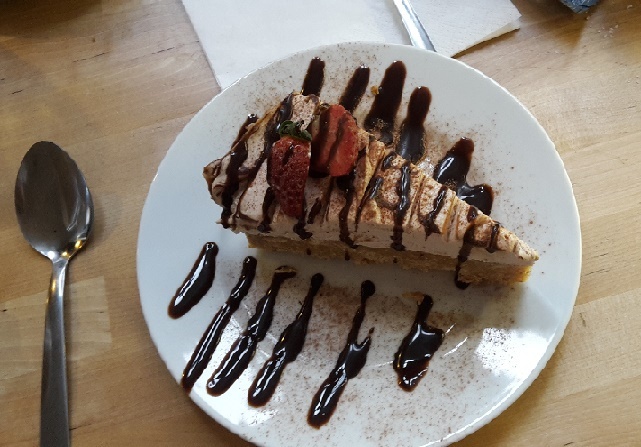 Plus if you're a dessert lover, you're in for a treat. Sweet tooths rejoice! – if you're anything like me then the very first thing you're likely to notice on entry is the impressive dessert counter, laden with a mouth-watering assortment of cakes, pies and puddings. 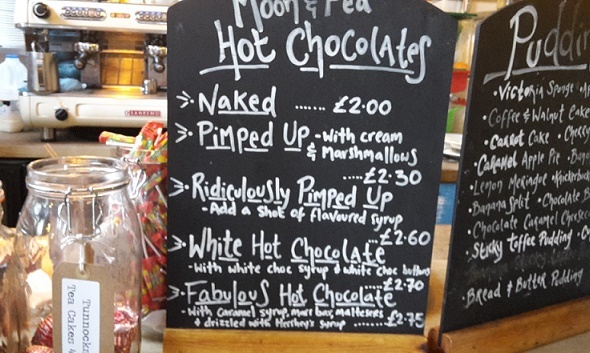 Don't even get me started on their coffees, milkshakes and 'pimped up' Hot chocolate selection – check out the boards for weekly specials and available extras. 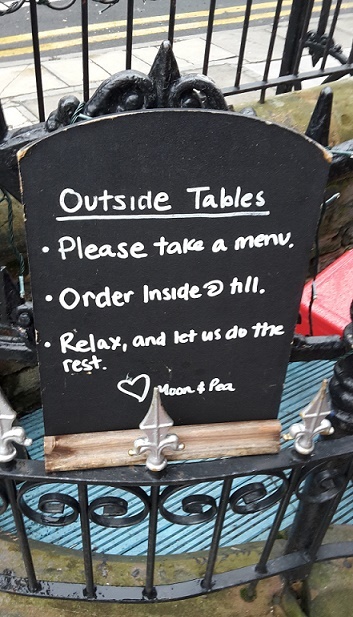 Adding personality to the Lane, The Moon and Pea is on point. Children's menus are available on request and there is even a separate Deli store if you're on the go. Know someone who's a fan? Gift Vouchers are now available in store too. I don't think I have ever seen chips quite as fat as that. They almost look like thick slices of toast.